If you’re a fan of either the U.K. or the U.S. versions of “Antiques Roadshow,” you are likely to have seen one of their popular “Vintage [name-of-city/location]” episodes. These are specially produced shows in which items from about a decade previous are given a re-evaluation of the original-quoted price values. For example, the announcer will introduce the show by saying how the “Roadshow” travelled to [name-of-city] in, say, 2001. The original segment, with the final value appears on screen. There’s a beat and a little sound cue and an arrow going up or down to a new value of higher or lower (if the value remains the same, they merely list that first value. 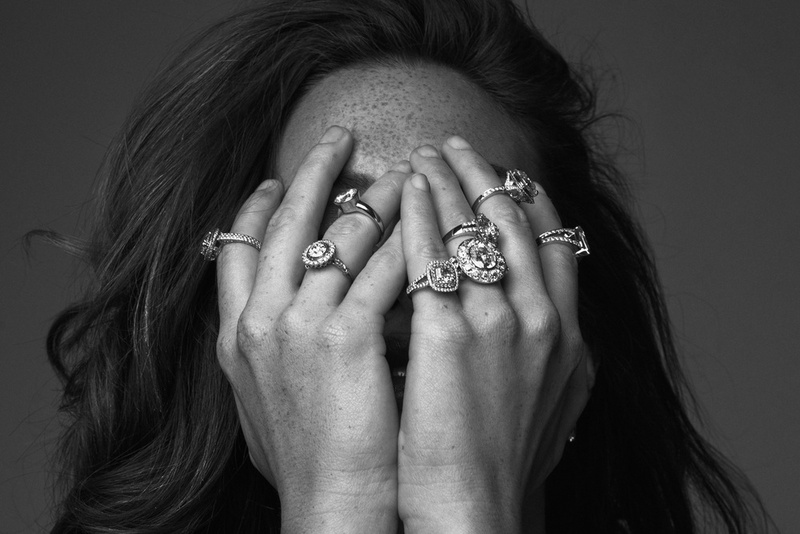 The reason we remind you of this is that jewellery nearly never goes “down” in value – it occasionally stays the same, but more often than not, the value increases exponentially. The bottom line is that a diamond is a terrific investment. If there’s the dual value of not only purchasing an heirloom piece, but presenting a loved one with a very special diamond jewellery item which can only enhance and enrich a relationship. To start your search for a beautiful piece of jewellery, visit one of Melbourne’s finest jewellery shop, Simon West Fine Jewellery. If you’re going to wear diamond jewellery daily – and notably, your diamond engagement ring – you should know how to care for it. You can find blogs online that offer some terrific tips, so check it out. Don’t go shopping for diamonds “blind” –research and know the important elements in buying a diamond. Critically, know your “Cs” – clarity, cut, cost, colour and carat. You can look into a unique shape and colour or, if your budget is no budget, then you can simply ask for the most beautiful flawless diamond. Your Diamond Engagement Ring: Take Care of It! It’s tempting to forgo insurance on your ring, but don’t. You’ve made a big investment, so protect it. Have it insured. You may be lucky and not have one of “those” friends who’s anxious to note how her child did better on an exam than yours or how their [computer, phone, shoes, hat, Bluetooth, television, car] is better than yours. But for those who do have friends who are anxious to one-up you, don’t do it. This means, do not let someone else’s ring make you second-guess yours. Don’t compare your ring to theirs, and if they start, shut them down soonest. A diamond engagement ring is only magical in the spiritual and emotional sense and it is okay if you need to take it off occasionally. No evil will befall you if you take your ring(s) off. We recommend you have a small, covered, decorative box (porcelain is good) in which you can place your diamond ring before you do any heavy-lifting in the kitchen. And, by “heavy lifting” we mean kneading bread dough, rolling meatballs and forming cookies. You may have your own reasons for wearing your ring when you play sports – tennis, La Crosse, field hockey, swimming, water polo, basketball, baseball, softball, etc. But we’re here to tell you: don’t. Lifting weighs, twirling a baton or golf club or tennis racket can contribute to chips in your precious stones or the loosening of a setting. If you wear it when you swim in a pool, lake or ocean, the water may be cold – and cold water shrinks your fingers. Your ring could fall off! Take your ring to your jeweller regular for maintenance. Your settings should be secure, your stones cleaned and chip-free. In order to make the most out of your diamond jewellery, you need to take care of it. Make sure to take note of the tips we’ve provided.